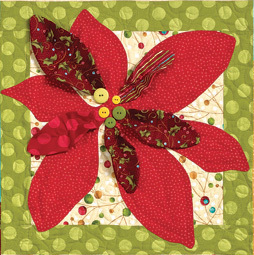 Toady I want to welcome the loving Nancy Halvorsen to present her Christmas Favorites Block of the Month. We are so excited for this 10 month Block of the Month program starting this September - I still can't get over how adorable it is! Well here she is, the Mrs. Nancy Halvorsen. 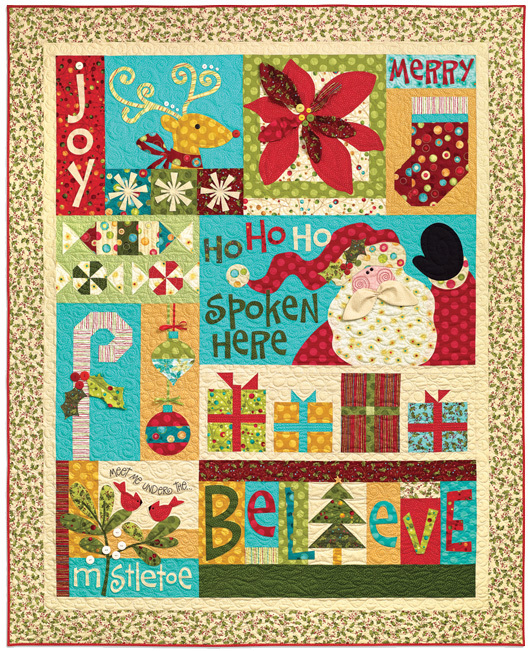 When I worked with Benartex to do a fabric line of my Holiday Favorites fabrics, I knew that I wanted to do a block of the month quilt representing some of my favorite things about Christmas. 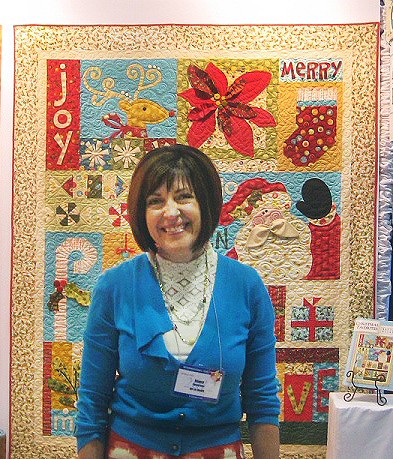 I decided to design half of the blocks in my traditional fusible appliqué style, and half of the blocks with delightful pieced designs. 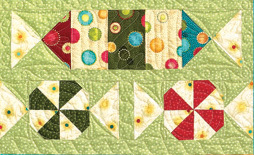 Both types of blocks are finished with some fun dimensional embellishments. Christmas has been my favorite holiday since I was just a little girl. My Dad is so crazy about Christmas that he would stir us into a frenzy to put up the tree, decorate and go shopping. He and Mom made Christmas a magical wonderland for me. We always got up on Christmas morning at 4am to open presents. My dad was just as giddy as the rest of us kids. My Dad still likes to leave some of the Christmas decorations up year round (so do I)! The “Joy” block reminds me of the wonderful snowy “white” Christmases that I had growing up in Utah. And Rudolph is always in league with Santa helping to pull the whole thing off. That automatically makes him one of my favorites. I was always so excited to see the “Poinsettia” flowers in the shops and around town. It meant that the Christmas season was finally close, because I never saw them at any other time of year. I loved how bushy, varied and bright their large petals were. Of course there is hardly anything more exciting than hanging your stocking up on Christmas Eve. It is a very “Merry” time. I had butterflies in my stomach so badly that I could hardly sleep. 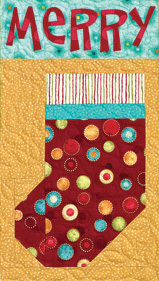 “Sugar Plums” represent all of the delicious treats to give and to receive at Christmas time. I remember the fun of pulling taffy and baking cookies to share with the neighbors. Our family was all about Christmas, so “Ho Ho Ho Spoken Here” just goes without saying. It summarizes my feelings about this special season of giving. It was a family tradition to always receive a “Candy Cane” in our stockings on Christmas morning. It didn’t matter what else was in there, we always knew that we would be getting one. Christmas just wouldn’t be the same without candy canes. I loved to decorate the Christmas tree with my dad. He would show us how to carefully and artfully place the “Ornaments” on the tree. I have a December birthday, so there were always some special ornaments on the tree that were just mine. And I was the one to decide where to put them. Christmas is a time to take a minute from our busy lives and think about others. What “Gifts” can we give or what can we do to brighten someone else’s Christmas? It’s a time to ponder the most wonderful gift that was given in a manger in Bethlehem. 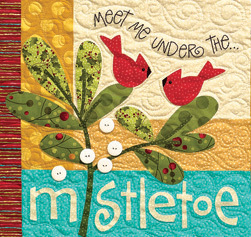 Our family always hung “Mistletoe” in the doorway to the kitchen at our house. I remember giggling as we watched my Dad take Mom to the doorway for a kiss. I “Believe” that Christmas is a magical time for family and friends, for fun and for thinking about and sharing with others. 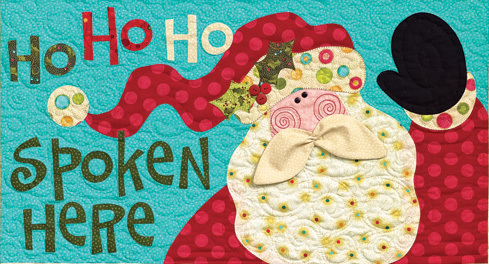 I created this quilt to celebrate all of my favorite Christmas traditions. I hope you enjoy it.